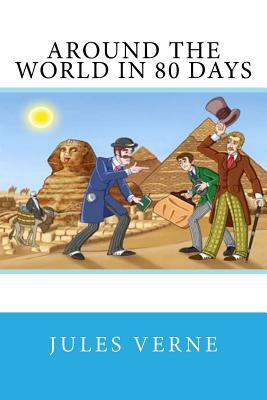 Around the World in Eighty Days is a classic adventure novel by the French writer Jules Verne. The story starts in London on Tuesday, October 1, 1872. Fogg is a rich English gentleman living in solitude. Despite his wealth, Fogg lives a modest life with habits carried out with mathematical precision. Very little can be said about his social life other than that he is a member of the Reform Club. At the Reform Club, Fogg gets involved in an argument over an article in The Daily Telegraph stating that with the opening of a new railway section in India, it is now possible to travel around the world in 80 days. He accepts a wager for 20,000 (equal to about 1.5 million today) from his fellow club members, which he will receive if he makes it around the world in 80 days.